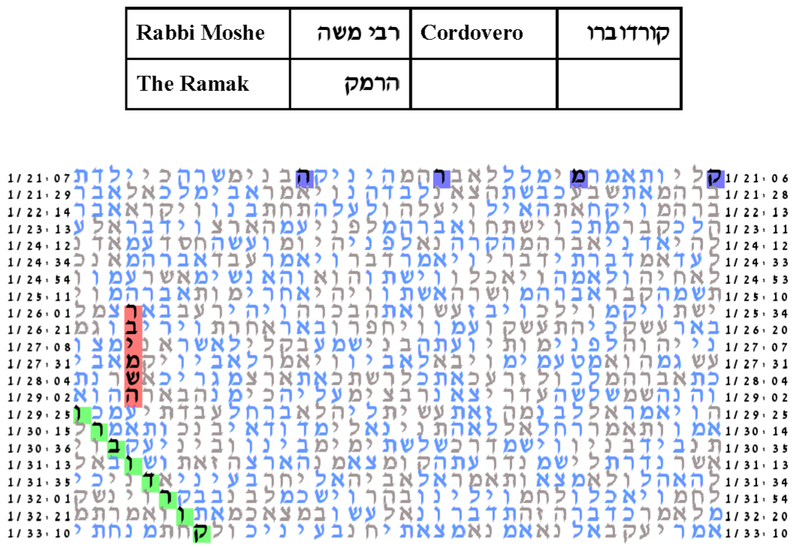 Rabbi Moshe Cordovero has become known as The Ramak הרמק, based on the first letters of the formal way of addressing him. This too produces a significant table. The probability that a text from the ELS random placement text population would have as small an area table as this one is 376/10,000. The expected number of ELSs was set to 100. The cylinder size is 1097. The probability that a text from the ELS random placement text population would have as small an area table as this one is 376/10,000.